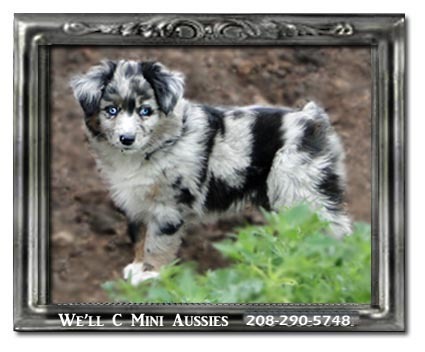 Shasta was born here at We'll C Mini Aussies. She is sired by We'll C A Miraculous Second Chance out of Celebritywards Shawnie Bug. 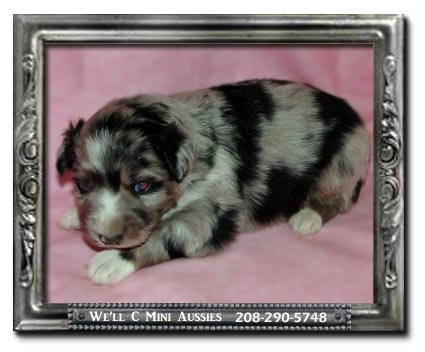 Shasta is a very beautiful blue Merle with two blue eyes. 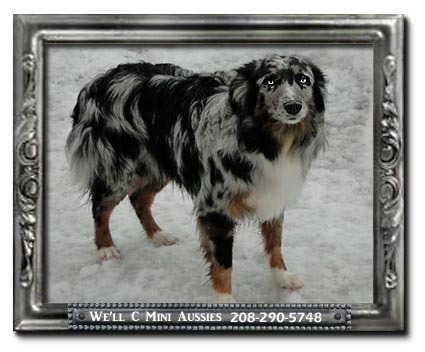 She has a medium length coat and her mother's laid back personality. Shasta was born in May of 2016. 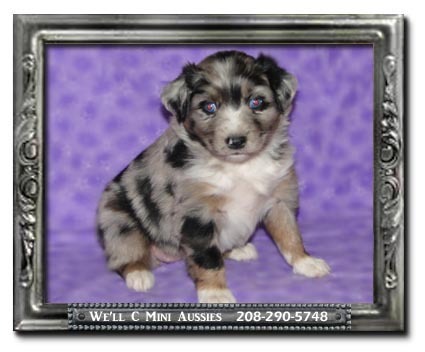 Shasta is daughter to Shawnie and Chance. She is a half sister to Tidbit, Raven, Robin, and Mic. 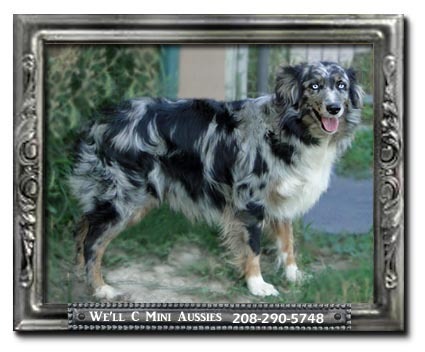 Shasta is registered ASDR, American Stock Dog. 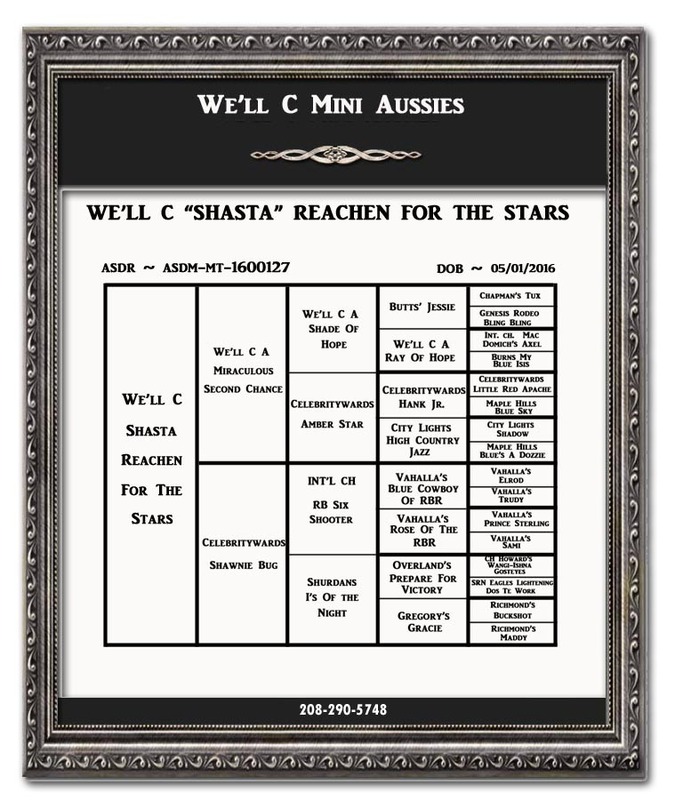 Below is Shasta's slideshow, the results of her genetic testing, and pedigree. MDR1 ~ Clear by parentage. 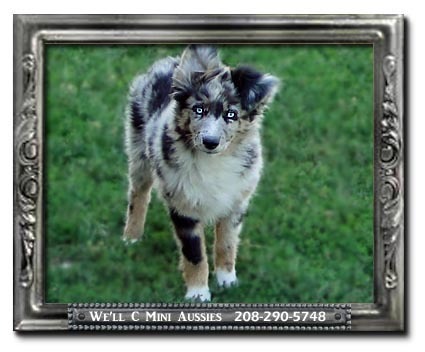 Shasta has not been tested because neither of her parents are carriers of the gene. Therefore, it is not necessary for us to test as we know she cannot have the mutation.